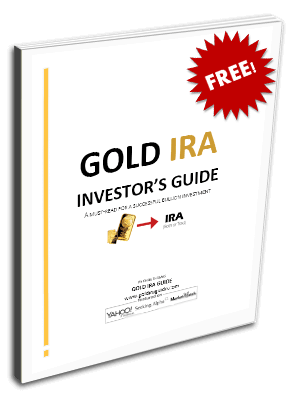 Gold IRA Guidebanks Are we entering the age of cashless economies? Are we entering the age of cashless economies? As negative interest rate policies proliferate throughout the world economy, and policy makers continue pushing an agenda of “deposit taxes” and other measures in an attempt to load up the population with as much debt as possible, it was probably always just a matter of timing when holding cash would be eliminated altogether. Step forward Denmark, who suffering some of the most severe negative interest rates in Europe, are in the process of writing one the more interesting chapters of fiat currency history. Danish lawmakers are set to vote on a proposal from the nation’s Chamber of Commerce to grant retailers and service providers the choice of going cash-free. Under the proposal, businesses would be free to refuse cash payments, relying on electronic payment systems instead, such as MobilePay, a payment solution operated by Danske Bank. The Danish Chamber of Commerce, speaking on behalf of its members, identified expensive cash handling charges, and other administrative expenses such as security as being behind the move to go cash free. On the surface, the Danish proposal appears relatively tame, even inevitable given the increasing use of credit and debit cards throughout the world, but the move away from cash raises some worrying questions about the future of an already beleaguered system of fiat currencies. Could something as tame as reducing handling charges morph into something more sinister going forward? The Danes are not alone in their calls for a cash ban. Prominent economists like Willem Buiter, Harvard’s Ken Rogoff and Peter Bofinger from the German Council Of Economic Experts have all publicly displayed their approval for cashless societies, often based on much more controversial principles than merely reducing the cash handling charges for business. These economists argue that a cashless society would enable monetary authorities to implement much more effective policies in their quest for economic growth. By constraining transactions to one official payment channel, governments and central banks would have complete oversight of the country’s money supply, enabling the authorities to stimulate or restrict spending as they see fit. Under such a scenario, stimulating spending would be as simple as setting interest rates negative for as long as necessary until we, as “consumers” altered our spending habits accordingly. When viewed in aggregate, the monetary authorities would have a highly effective means of boosting economic activity. If cooling measures were required, the same authorities could impose a scale of “transaction fees” each time an individual spent money, creating a powerful incentive to curtail spending. These methods would be highly effective, much more so than the hit or miss rate setting policies currently in place. Fiscal authorities would also be a significant beneficiary of cashless societies. Eliminating cash would deal a severe blow to black markets and severely restrict tax avoidance, providing a boost to government revenues – a welcome addition to every society around the world. There are granted, several benefits to the cashless system proposed by these economists. The question though, is at what cost? While the benefits from a cashless society appear very appealing on paper the wider implications for workers and savers are far more depressing. Technology has had a great effect in decentralizing traditionally siloed enterprises such as publishing, communication, and commerce, but it would be a huge mistake to assume cashless transactions based on a central bank model would be an equally beneficial development for society. A cashless financial system operated under the current central bank model would further centralize and concentrate power within the opaque realm of these central banks and by association, the commercial banks. A Cashless fiat currency system would devolve complete control of the currency to a system which has almost completely obliterated the purchasing power of such currencies over course of the past 40 years. With such an increase in control, debt based economic growth, the lifeblood of fiat currencies, would be given free reign, and massaged to perfection at the expense of the environment, inequality, and worker compensation. While many fiat currency critics lament our current predicament, a complete monopoly of payment channels by a centralized party would be far worse. It would be a complete surrender of individual sovereignty to an omnipresent monetary authority. The obvious question is where would this power stop? Are the monetary authorities merely interested in stimulating economic growth by herding the savings of “consumers” through the relevant channels, or would this morph into a more sinister system of financial control? While the latest Danish proposals are far removed from the dystopian endgame we portray here, they are, none the less the start of an era of increasing identity crises for fiat currencies. The proposals from the more prominent economists are revealing, they show the system is beginning to question itself and its very future going forward. As debasement of these currencies continues, discontent will likely follow suit. We are already seeing this discontent manifest itself on the world via the rapid accumulation of precious metals by several central banks. Precious metals have always represented financial autonomy and sovereignty, and despite the rapid innovation of financial technology, they still do.